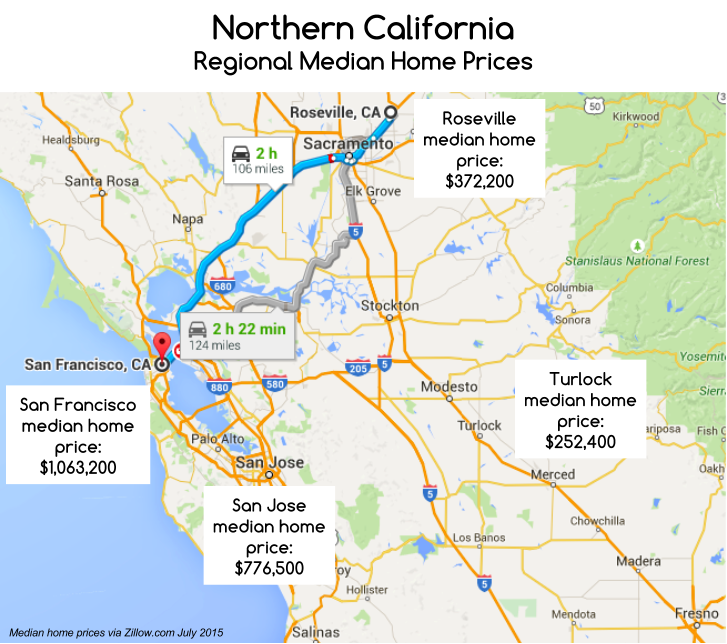 – As more people will move to places like Roseville, house prices will rise there and probably drop in the Bay Area. It will take time, of course. – More people commuting from far away places means more traffic on highways and eventually more commuting time. – More miles mean cars will have to be replaced earlier. Also maintenance costs will rise. – Cars need gas. More miles = more gas = more money. Also, only time will tell if you can be as productive in a self-driving car as in the office or at home. Ecologically, it will be terrible if people are commuting such long distances alone in their cars. Ride sharing could bring down maintenance costs as well as costs for gas. It will ruin the productivity aspect, of course. Fair points Carsten for sure. 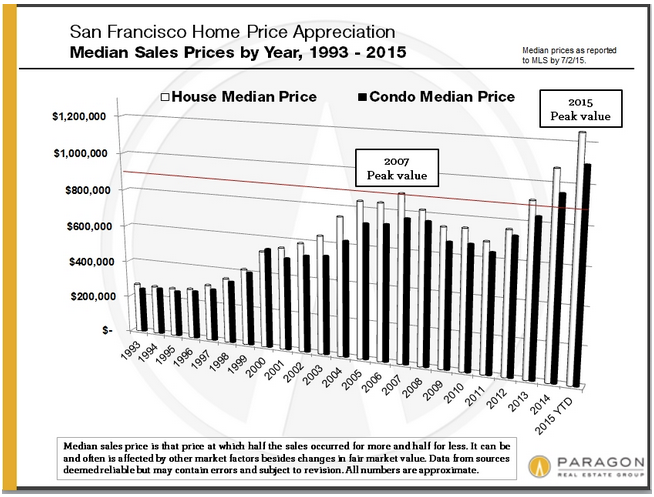 Certainly prices would rise as demand picked up for faraway locations. But the intrinsic qualities of the Bay Area would still hold allure. Regarding increased traffic. Once cars are all connected, experts expect that traffic will actually be much better. No more fallacies of one’s own driving abilities. Cars will follow one another at quite close range, at a fairly high speed. Why? Because there’s little surprise in the driving. As conditions change, the vehicles rapidly adjust. Agree about gas and the environment. Long term, watch for electric vehicles to become the more dominant mode. Uber CEO Travis Kalanick recently said that if electric car maker Tesla could build a fully autonomous car by 2020, he’d purchase the entire production run. I admit the position I take here is bit “out there” (like Roseville). But it’s a logical path based on trends happening today. Good point about self-driving cars being more connected. I have read an article about this aspect a couple of months ago but unfortunately forgot about it yesterday. I am old. Regarding electric vehicles. Yes, there will be more in the future and in the long run they will replace those running on gas. At least that is what I hope for (or even better, vehicles running on solar power). On the other hand, electricity has to be produced as well. But yes, it will probably be cheaper than gas.